I know you’ve heard it a thousand times before. But it’s worth repeating, there’s no easy way for success. Hard work pays off; period! If you want to succeed, I know of no other way then to keep working at it. Never quit! Put your nose to the grind stone and keep cranking out the day to day work. 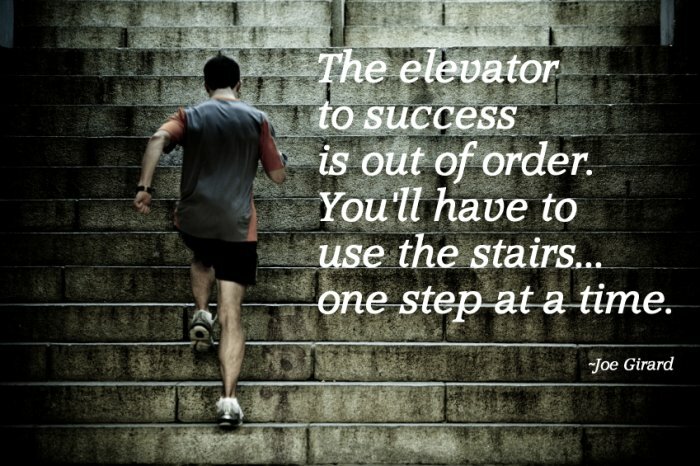 Leave a reply on "One step at a time"